While the release date of the Windows 10 Anniversary Update is August 2, 2016, not all users will receive the update on that date as Microsoft plans to roll it out gradually. Update: The new version of the Media Creation Toolkit has been released. Make sure you check the version after download to make sure it is the updated one. Instructions on how to do so are listed in the download and install chapter. To get started, head over to Microsoft's website and click on the "download tool now" button to get started. This downloads the Media Creation Tool to your system. You find instructions on how to use the program once downloaded on the site as well if you require them. Tip: To make sure you got the right version, right-click on the MediaCreationTool.exe file and select Properties. Switch to details, and verify that the version reads 10.0.14393. Update to the latest version of Windows 10. 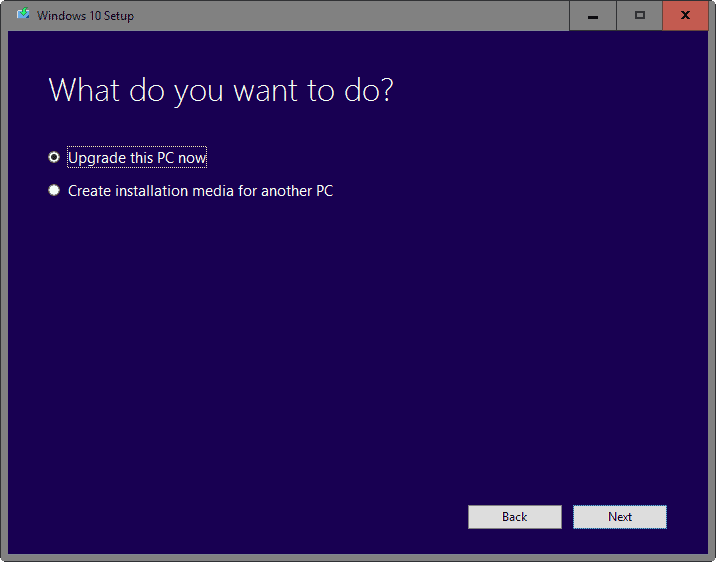 Create installation media for manual installation of the operating system or the update. Both options are fine. Creating installation media is useful if you want to update multiple PCs, or need to update another PC, or want to keep the installation media at hand should the need arise to reinstall Windows. If you want as quick of an update as possible, select the "update to the latest version of Windows 10" option instead. 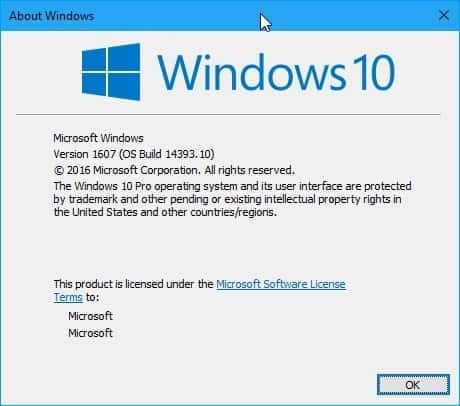 The program connects to the Microsoft server and downloads the Windows 10 installation files. This may take a while as Gigabytes of data are downloaded. Tip: While you are waiting, check out AnandTech's epic the road to redstone article. 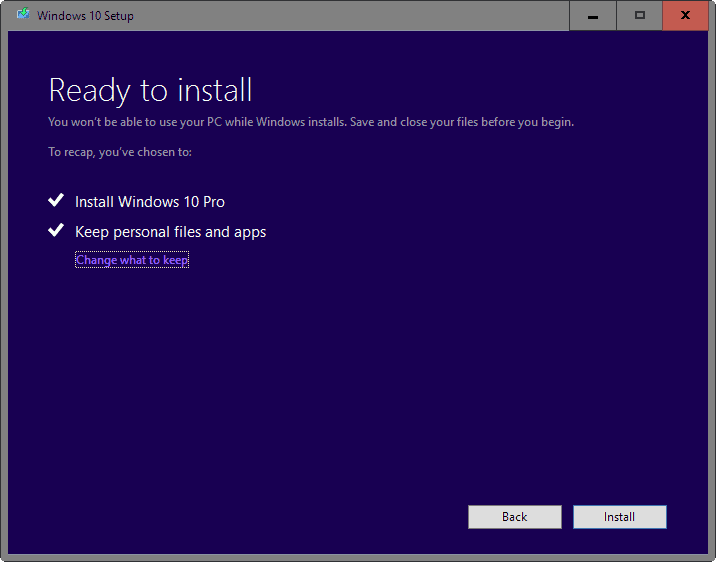 The tool verifies the download afterwards, and starts to create the Windows 10 media that is used to upgrade Windows 10 to the Anniversary Update version. The process should be considerably faster than the download. 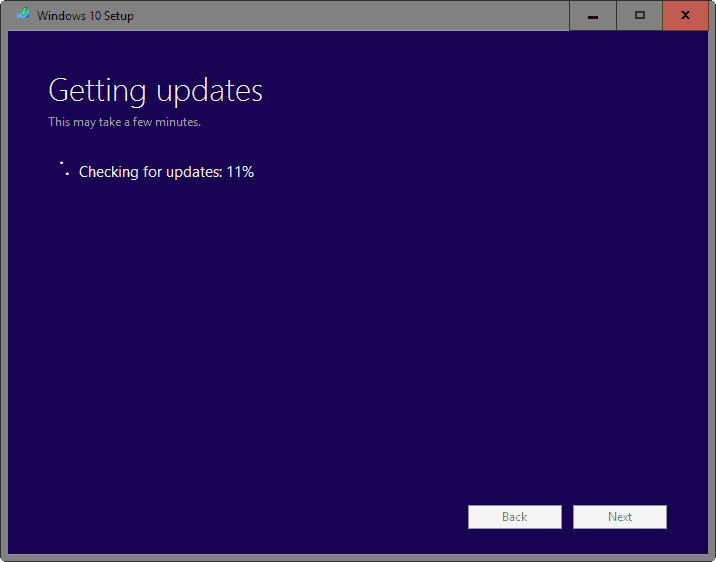 The tool checks for updates afterwards which may also take a moment to complete. Then, after a couple of more screens of checking the PC and getting a few things ready, and another display of the license terms, and another updates check, making sure the PC has enough space, you are asked what to keep. If you have selected to update the system, the installer will automatically select to install the correct edition of Windows 10 and keep all personal files and apps. You may change that if you want to start with a blank slate, but will lose access to all files stored and programs installed on the device when you do. Follow the instructions afterwards to complete the update to the new version. If you prefer to use Windows Update to update a device running Windows 10 to the Anniversary Update version, then you may do that as well. Please note though that you may not get it right away as Microsoft mentioned that the roll out would be gradual. Still, updates may become available as early as 19:00 CET on August 2, 2016. Press Windows-I to open the Settings application. Click on the "check for updates" button. Windows should pick up the Anniversary Update and either install it directly or offer to install it. 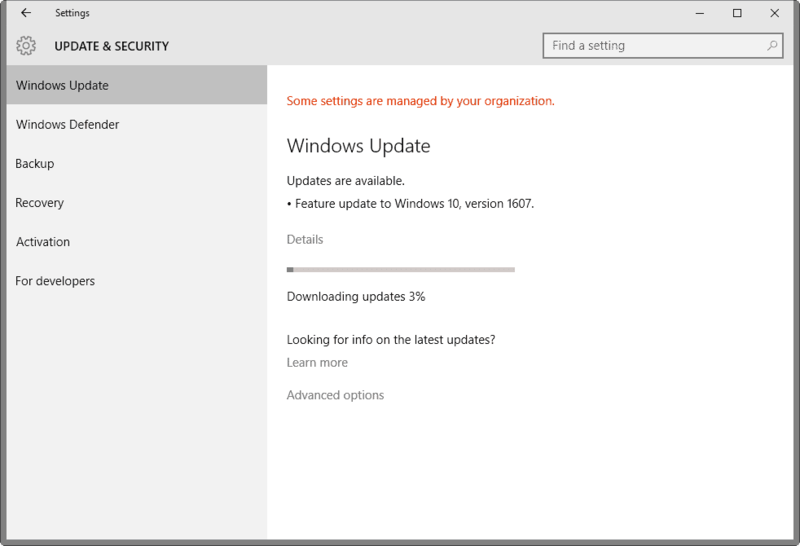 It is listed as "Feature update to windows 10, version 1607" on Windows Update. A cumulative Windows 10 update KB3176929 is delivered via Windows Update after the Anniversary Update is installed. Tap on the Windows-key, type winver and hit the enter-key. The window that opens should read "Version 1607 (OS Build 14393.10)". Tip: Make sure you run Disk Cleanup after installing the Anniversary Update (and checking that everything works) as you will free up Gigabytes of disk space. Find out how to download and install the Windows 10 Anniversary Update right now using Microsoft's official Media Creation Tool. Sorry, but that link still downloads the old mediacreationtool (10586). Keep getting the old version of the Media Creation Tool here. Me too but i guess Martin meant once the update goes live? I did post a comment myself to the same effect earlier, not sure why it didn’t appear. I’ve seen similar posts around today, but what threw me with this one is the screenshot of the version details, suggesting Martin somehow has the new version – so why does the link still download the old one if he’s already got it? Yes that is right, sorry of the misunderstanding. Thanks for this info! I used the media creation tool with a USB ~3h ago, and at the time didn’t know how to check what version of Windows it would fetch. 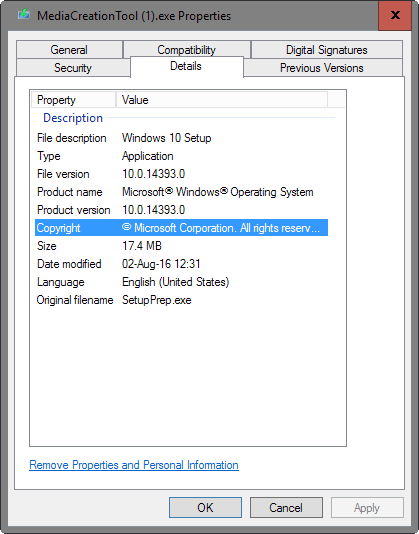 After formatting and installing, I saw it was still version 1511. It will probably be available in 30 minutes or so. Make sure you check the version info of the file before you run it to make sure it is the new version. No unfortunately not. I update this post the minute the new tool goes live. The new tool is live now. If you cannot grab it let me know and I upload it to a file host. Still getting 10.0.10586.117 version here, Indianapolis, Indiana. The updated Media Creation Tool is up now. Thanks Anders for the confirmation. Looks like msdn now lists Windows 10 version 1607 as the main Windows 10 download. Also, Martin, you typed “10.1.14393.” but the screenshot shows 10.0.14393. Martin you asked for us to verify its this 10.1.14393 but the download link from mega gives me this 10.0.14393.0 which one is correct? This is correct, I had a type in the article. Is it 10.0.14393.0 or is it 10.1.14393.0? Corrected the typo in the article, 10.0.14393 is correct. Thanks Martin. The new Media Creation Tool is now available for me in the US Central time zone, a few hours ago it was still the old one. I’m downloading it now. Same here US Eastern standard time, Thanks Martin. Hope this is allowed, Martin. Sure, useful links are always welcome. Does anyone know if creating an ISO with the Media Creation Tool downloads the latest version? Yes it should download the latest version provided that the tool is the latest version. 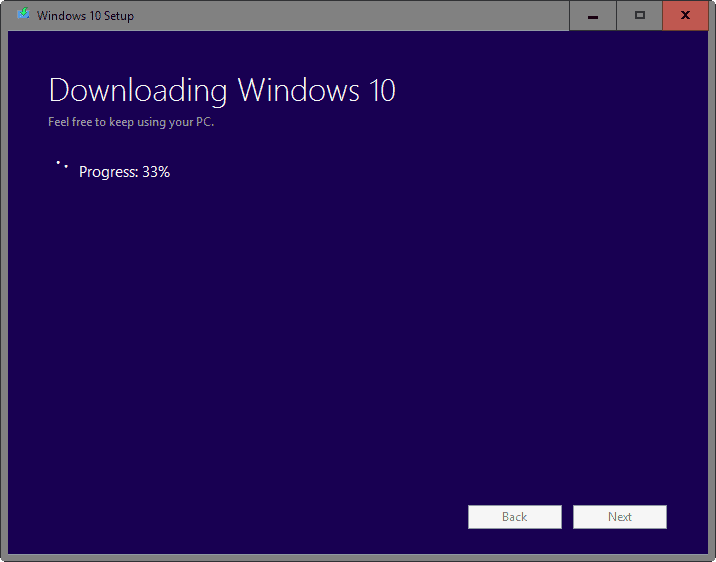 Seems to be working – just downloaded the iso using this, and it gives me an installation selection dated 16/07/2015. That went badly, clean installed over the 1511 build, and it wouldn’t activate, went back to 1511 build to try and upgrade then clean install and now 1511 isn’t licenced anymore! I don’t know what to do, can’t find a way of talking to Microsoft support other than phoning and from all the bad stories I’ve heard about them I’d rather not try. If you still have an intact version installed with all your files and applications, try to get the new version as an ISO that you hopefully can download easily from wherever you are located. Extract the ISO to a temporary folder, (like c:\temp). Click on setup.exe and let it install from within Windows, keeping your files and apps. When installed and back in Windows, check for updates, (improtant, if it needs updates let them install). Then check your activation in the system app, control panel (secondary start menu). I don’t know if that will fix it for you or not, but I had the same problem and it worked for me. I’m talking about Windows Pro here, not Enterprise or the Education version etc. If what I said don’t work and I wasted your time, I’m sorry. Don’t worry, I got in contact with Microsoft support and they gave me a new key. Microsoft mthfkrs did it again, why do they not care about their core power users and have changed 20 years of tradition by changing services, settings, advanced system settings, installing store apps, resetting windows features with these faux service packs. Just installed on my test machine to see if they had the carelessness not to fix this from the last time, and the answer is NOPE, they did it again. Everything reinstalled. The driver signing enforcement is fine, but the removal of gpedit features and them trying to shove cortana down my throat even harder is very alienating. I tried to do an update off the web and the Windows 10 update checker said I cannot install the anniversary version because my display is not supported. When I installed Win 10 originally, the display was not right. I had to install the Windows 8 driver to get 1400×900. Looks good Martin …thanks. I went through the Windows update. The final build release appears to be 14393.1? Note the .1 … how to get that? There is a Windows Update that needs to be installed after you install the Anniversary Update. Installed the update and running. Seems to be faster. Had some mouse lockup problems but reinstalling the driver for the mouse I use seems to have fixed it. Getting some weird msg about “identity” switching whenever I start desktop Outlook 2010. Had to update the Classic Shell software to get rid of the dumb Windows Start “experience”. Also spent some time reviewing and applying tweaks. What is the approx. upgrade file size? How much time does it take to upgrade (excluding the download time)? I installed the Anniversary Edition on my desktop using the download and on my laptop through windows update. Both had hiccups but eventually are installed and operating. Martin, thanks for the hints. FWIW before doing the updates I reverted privacy settings in O&O Shut Up (v. 1358) to factory settings. After install, I changed back to recommended privacy settings (turn off telemetry, Cortana etc). Those privacy settings seem to be holding. We noticed you are running Windows 10. If you are looking to update to the latest version, click Update now. And it was incredibly smooth. You download a small exe (Windows10Upgrade9252.exe) and from there everything is automatic. Of course it applies only to those already on Windows 10. But I found this experience very pleasant. I must say I have a very quick Samsung SSD, so the whole update took a very short time compared to an update on a HDD. Mine shows Version 1607 (OS Build 14393.0) after installing the anniversary update. Your article pic shows .10? That’s because the .10 is just an update. Yours will update from 14393.0, (Anniversary Edition), to Version 1607 (OS Build 14393.10), (updated Anniversary Edition), after you press the update button, etc. in settings. Once again you have been a big help. I couldn’t install with Windows Update because of display (!?) but using the Media Creation Toolkit I was able to complete the installation. Many thanks ! Now I’m wondering what Microsoft has in store for us on update Tuesday next week. I looked into the anniversary update. MS’s update checker says my NVIDIA video chip is not compatible with Windows 10.They do not have an MS approved driver for Win 10 because NVIDA will not be making one. The Win 8 video driver does work on my current Win 10 installation. For the past year I have been running Windows 10 on an older PC with an NVDIA GeForce 6150SE nForce 430. When I first installed Win 10, the video was not right because of MS’s generic driver. Installing the Win 8 driver from NVIDA (v309) fixed the issue. My video resolution is now 1440×900 as it was on Windows 7 more than a year ago. I think it should be possible to build an update disk (using the media creation tool), do the update and then install the same NVIDIA Windows 8 video driver. Has anyone successfully updated with the anniversary update with NVDIA GeForce 6150SE nForce 430 on board? It worked. I am up and running the anniversary update. I did NOT have to re-install the Win 8 video driver. I built an install DVD and from Win 10 I ran setup.exe. From there I just let if do its thing answering prompts as it went along. Totally intuitive. How large is this anniversary update? Some of us are on metered connections. Thanks! It’s around 4,199,542 KB or about 4.7 GB. No matter how you intend to install it, be sure to do a backup of your whole c:\ drive, on your pc first, with a good backup program like Acronis, or similar, incase you have any problems. Doing a backup means you need to have a d:\ drive in your PC, or have usb backup drive, or usb stick, (a 30 GB stick is a good choice), to keep the backup on. I think doing a backup is the best advice I can give, because some people have had problems with the install, and many have had problems getting activated after a clean install, (depending on if you install from whithin Windows, or at PC startup. (if you get a friend, or through some other way, to snail mail you, a dvd of the Anniversary Edition, you could end up having problems installing it). If you have problems and you have a complete backup you can at least reinstall what you had, and figure out what to do from there. 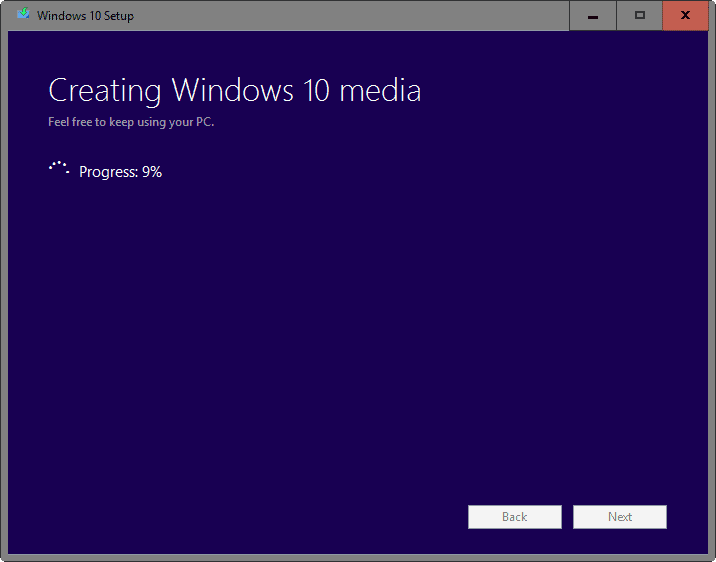 All this can get a little complicated, so it might be better just to use the Windows 10 Media Creation Tool 10.0.14393.0 and pay the extra costs on your metered connection, (as a last resort of course), (but even doing that, a backup is a real good idea). The point .10 update to 14393.0, to make it 14393.10 is about 33,223 MB. So if you talking about that update it,s pretty small, and shouldn’t be that much of a problem on a metered connection. The Anniversary edition, at around 4 GB itself, is large enough to be a problem on a metered connection. If you compare Edge with most other browsers (installing just 2 extensions on them for a fair comparison) the bold “most efficient and faster browser out there” statement falls completely apart. As is always the case with such statements. Why? The page rendering, the video rendering, the font loading and everything using the less CPU and GPU utilization than any other browser. That’s what most efficient means. With IE MS focused only on bug fixing. I’m pretty sure bright future awaits now with Edge. Also, when MS implements something, it does it right. For instance, even VP9 video rendering it’s the only browser that uses Nvidia’s Video Engine. No other browser does that. Most others only on the decoding using GPU. MS mention it already. Video rendering on Edge is as close to the metal as it can get. Be careful before installation, make a backup of your partitions and datas before! Hehehe… Microsoft, like the cunning fox it is, now forces its user to add their Microsoft Account(as mandatory), if they want to unlock the benefits such as the new features, and be able to re-activate Windows on that same machine. Clevuh gurl!! Not only invasive, but now forceful. It really wants to associate each PC with a particular Microsoft ID, so that whatever data they harvest from that PC, could be used against the right user of that PC in the form of tailored ads. Oh well, I am sure people will come up with other alternatives to re-activate Windows. So far so good. I need to run that Win10 privacy app though. Wow, wonder what those ‘benefits’ are exactly. I clean-installed the AU and it activated automatically with no issues – never used a Microsoft account, only local. As a precaution, i have created a backup of my license/activation. Apparently, ‘benefits’ are tailored ads, as Asif A. Ali mentioned. Microsoft, like the cunning fox it is, now forces its user to add their Microsoft Account(as mandatory), if they want to unlock the benefits such as the new features, and be able to re-activate Windows on that same machine. Clevuh gurl!! Not only invasive, but now forceful. It really wants to associate each PC with a particular Microsoft ID, so that whatever data they harvest from that PC, could be used against the right user of that PC in the form of the tailored ads. I liked how they offered to use another drive when upgrading to 10 if system drive had not enough space. You could use the Media Creation tool and create an ISO image or copy the installation files to a USB Flash drive. This way you would not have to download the data again if something goes wrong. I was using Win10 just fine, then installed the Anniversary update and a few things stopped working; tried a fresh installation of Win10 with the latest uodates, but still the same problem. Thanks Gabriel for you link and Windows 10 1607 64-bit. Anniversary…. anniversary… anniversary, wherever you go on the internet today, everyone’s talking about the same thing and the hassle they are going through in order to get it… like, they are celebrating their forever love bond with Microsoft. LOL. I installed it, felt like being bombarded with too many features that i don’t even want to use… plus, my webcam isn’t working anymore… it keeps crashing despite doing a clean install. Now, i am looking for a mediacreation tool that will only embed the previous build in the ISO, not this latest crap build. You all don’t realize, but MS is a cunning fox — first it closed the time period to grab that so called “Free” copy, and just when some people still stood courageous and resisted to not pick the bait, it dropped the “anniversary” update, which sounds nice for the marketing purpose, but only later you will find out what rights you’ve been stripped off, and what other crap things it has added into your system. Now, within a few days internet will flood with some paid positive reviews about this “annivesary update”, so that people adopt it quicker. Some race we all are on…. Imma go back and install DOS or Win98!